1. Customers are buying food and beverage across many channels. On average, consumers shop at five different types of stores to fulfill their grocery needs, according to Deloitte's 2013 American Pantry report. Consumers aren't doing this because they can't find everything they want in one place, according to Packaged Facts analysts, it is because few stores offer the right combination of value, quality, and private label brands that consumers want. 2. Private labels are the new normal. Sales of private-label groceries are expected to grow 62% to $133 billion in 2016, up from $83 billion in 2008, according to a Packaged Facts survey. This trend can chiefly be attributed to the recession, since house brands are usually cheaper. Surprisingly private label isn't just about price but quality. "More than 90% of consumers believe private-label solutions offer the same or better value versus their national brand counterpart, and more than 80% believe the quality is the same or better," according to an IRI report. 3. Shoppers want less. The average square footage of supermarkets in the U.S. has been falling since 2006, and is now roughly 46,000 square feet, according to Packaged Facts. "The pendulum definitely is swinging back to smaller store formats," analysts wrote, noting that Wal-Mart is expanding its smaller-format stores. Kroger also has a small-format store called Turkey Hill Market, which averages about 6,800 square feet. 4. The best produce is a key component in deciding where people shop. Seventy-five percent of shoppers say the produce department is the most important, followed by fresh meat, poultry, seafood (60%); store brand products (36%); local farm foods/produce (35%); and finally the in-store bakery (29%), according to a Packaged Facts survey. 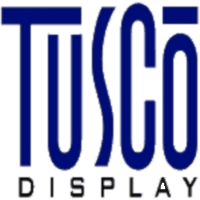 At Tusco Display we capture the imagination of shoppers and turn them into buyers. Our focus is to deliver superior ROI on the sales of consumer products through retail for our clients. We understand the category of food and beverage displays. Most importantly, we understand how to merchandise food and beverage across the various retail channels of grocery, drug store, and convenience store formats.